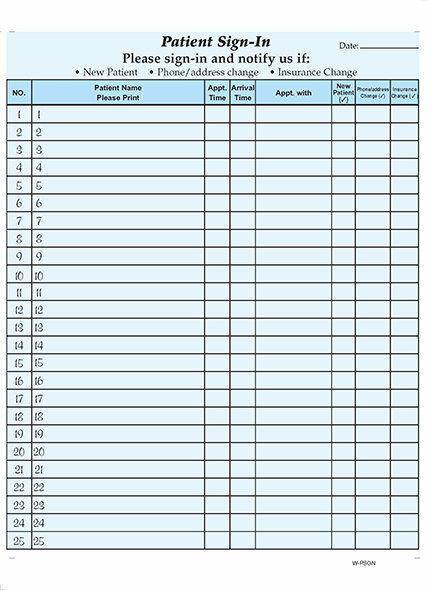 Two part Patient Sign-in Sheets. Two part HIPAA Medical Office Sign in Sheets with peel off labels are the industry standard. They have been used by the medical industry for many years. They have a "record copy" (shows all sign-ins)for your archives. 25 labels per sheet. 125 sheets per pack. These ship via UPS ground with a 5 to 8 day delivery.